This metal key holder is very attractive by its look. It has made use of exciting colors that give it a significant outlook. 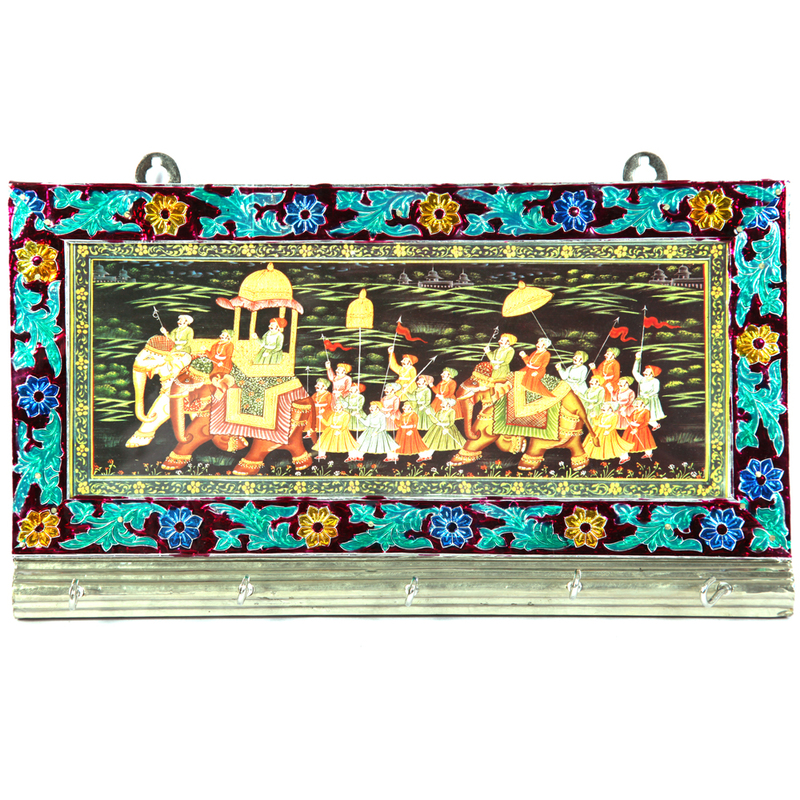 The heavy Read More..meenakari work further makes the key holder a fabulous one. The key holder can act as a wall hanging as well. The vibrant border nestles a beautiful image showing an elephant with a king and his followers and kinsmen after it. It has hooks attached to it on the back. Show Less..